Another former Rolls-Royce employee has taken a major role at the Nuclear AMRC, which has state of the art facilities on the Advanced Manufacturing Park (AMP) in Rotherham. Renowned welding expert Professor Steve Jones has joined as its new chief technology officer (CTO). The move comes after Andrew Storer was appointed chief executive officer (CEO) earlier this year. Professor Jones joins from Coventry University, where he held the post of professor in manufacturing systems and processes at the Advanced Manufacturing and Engineering Institute. 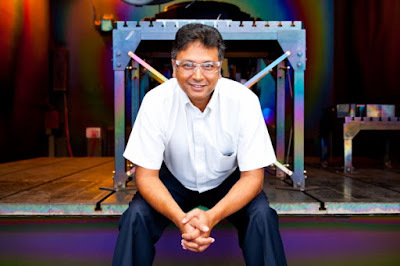 He previously worked at Rolls-Royce as global engineering specialist for joining sciences, where he worked closely with the company's civil nuclear division to secure the ASME N-stamp qualification, and worked with the Nuclear AMRC as visiting professor of welding engineering. Part of the government's High Value Manufacturing Catapult, the centre helps to develop capability and competitiveness through process manufacturing innovation and R&D, driving up quality and reducing cost. It was established in 2009 and initial support was followed by additional investment of £37.1m in 2012. Now in its "performing phase," the centre intends to deliver more in-depth supply chain development, providing very specific support to companies against real opportunities. It has worked to diversify its customer base so it is no longer dominated by any one company, while increasing overall revenue. Its new modular manufacturing R&D centre recently opened at the Birkenhead site of member company, Cammell Laird. Andrew Storer, CEO at the Nuclear AMRC, said: "The CTO is a fundamental position in the organisation, and Steve will be a great addition to the centre and the team. I am really pleased to welcome Steve, who will be responsible for ensuring our technical strategy is directly linked to the market, to make sure we are delivering the right applied research for UK industry." Professor Steve Jones, CTO at the Nuclear AMRC (pictured), said: "Our sector is understandably very conservative, so introducing new technologies that challenge existing codes and practices requires extremely strong de-risking procedures reinforced by substantial data to justify their inception. "I believe there are still significant benefits to be realised through optimising current practices and competences. This will accelerate performance and improve capability, without the need for a step change in skills and unnecessary costs." Jones succeeds Stuart Dawson as CTO, who has moved to the same position at the Nuclear AMRC's sister centre, the AMRC with Boeing.